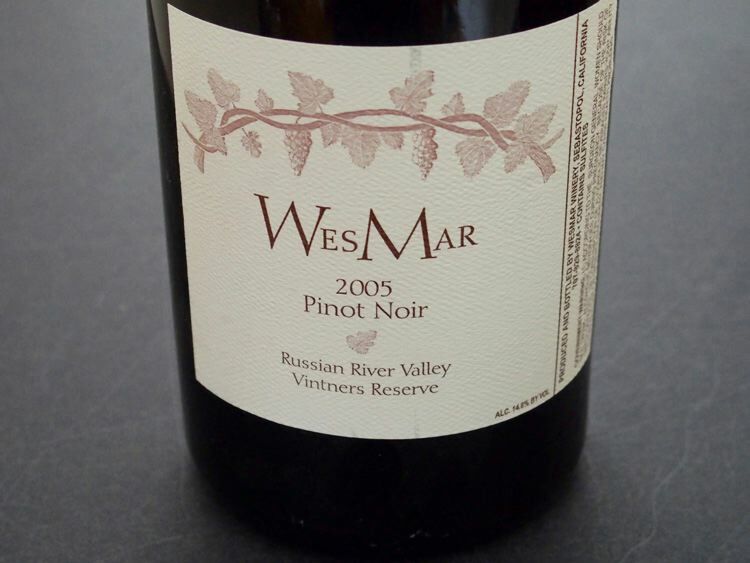 WesMar is a small garagiste-styled winery in the Russian River Valley that produces “faat” Pinots (sublime combinations of fruit, alcohol, acidity and tannin). 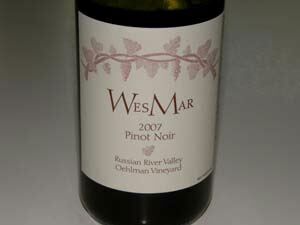 The label is modeled after the original Williams Selyem winery. 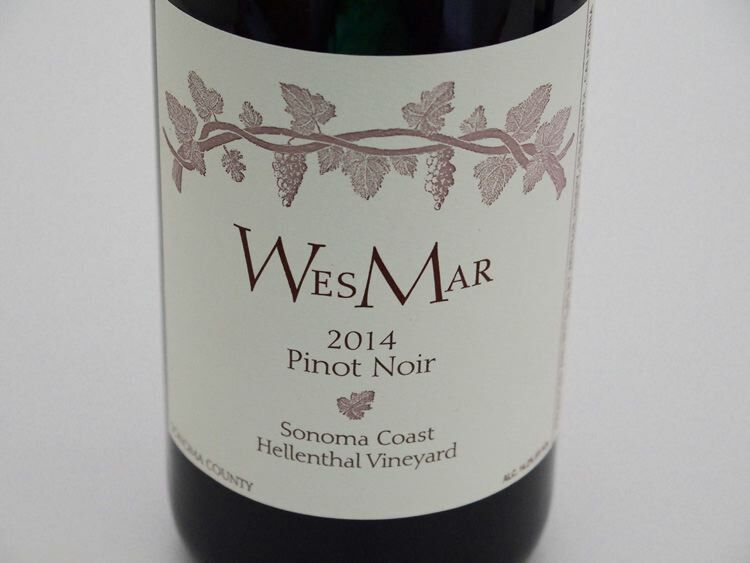 This is not surprising since co-owner Denise Mary Selyem is the daughter of Ed Selyem and both her and her husband Kirk Wesley Hubbard worked at Williams Selyem for several years before the winery was sold in 1997. 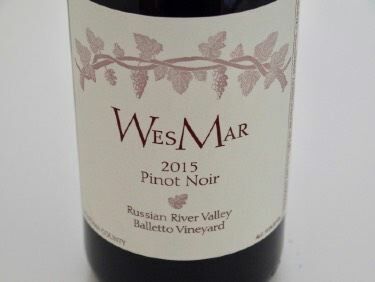 They craft their wines in a small industrial space in a former apple processing plant on Gravenstein Highway in Sebastopol. 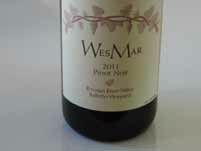 They are a two person, 50/50 operation, sharing all winemaking and winery management duties. 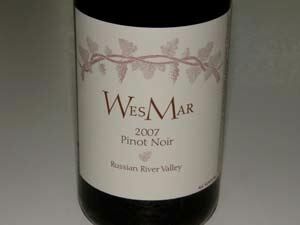 There are no employees, consultants or brokers. 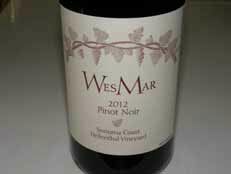 Kirk and Denise love contact with their consumers. 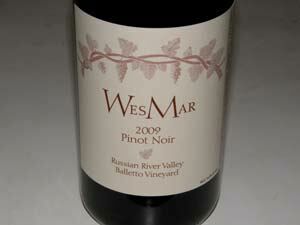 They are very personable and warmly receive visitors by appointment to their modest 1,500 square foot winery. 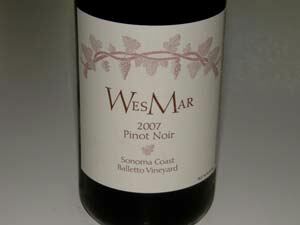 They run a truly honest and unadulterated winery. 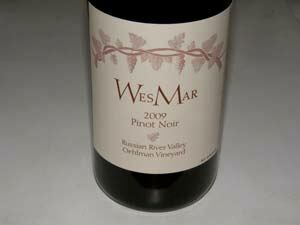 I kidded them about selling their wines directly on their website, but they will hear nothing of it, preferring to deal with their customers on a more personal level. 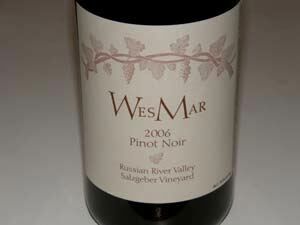 The wines offered will vary with the vintage but there is usually a Russian River Valley blend, a Sonoma Coast blend, and single-vineyard Pinot Noirs from Salzgeber Vineyard (Russian River Valley), Balletto Vineyard (Sonoma Coast), Oehlman Vineyard (Russian River Valley), and Hellenthal Vineyard (Sonoma Coast). 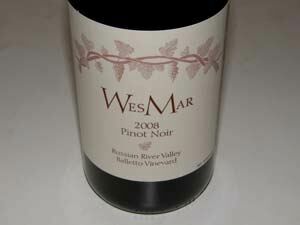 In 2012, the first two acres of an estate vineyard were planted using Pommard and Martini clones in Sebastopol. 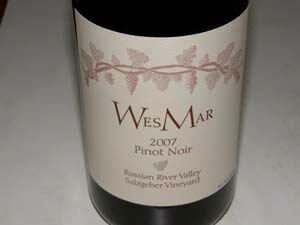 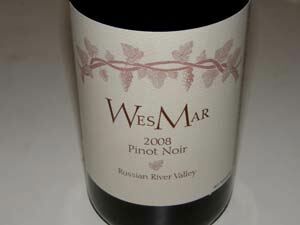 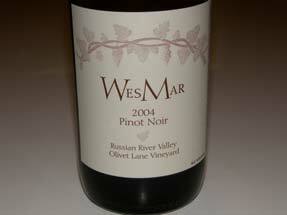 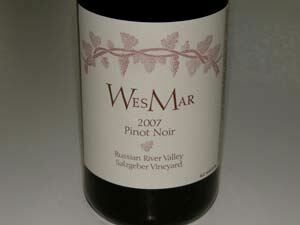 Wes Mar Winery mailing address is P.O Box 810, Forestville, CA 95436. 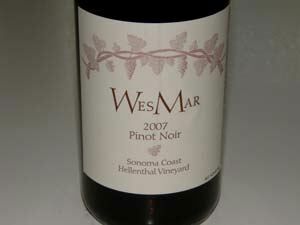 Tasting is available by appointment by calling 707-829-8824. 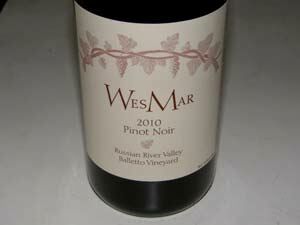 The wines are sold through a mailing list with very little retail availability. 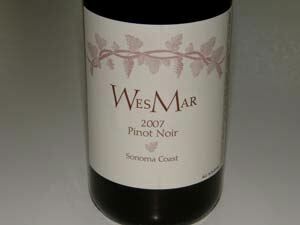 There is distribution to many fine restaurants including Sona in Los Angeles, Mr Stox in Anaheim, and Cyrus in Healdsburg (all in California), as well as restaurants in Alaska, Hawaii, Louisiana, New York and Texas. 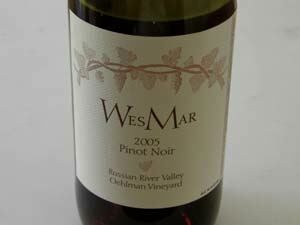 Magnums are available for all of the Pinot Noirs and are priced at just twice the cost of a single bottle.